We provide education and therapeutic services for up to 21 primary and early secondary aged children with social, emotional and mental health difficulties. All of our children currently have statements of Special Educational Needs or Education, Health and Care Plans. All schooling is tailored for children with complex social, emotional and mental health difficulties, and accommodates individual learning needs. We work together to nurture and support the child’s emotional, social and educational development. Our therapeutic approach and collaborative working enables children and parents/carers to gain a positive experience of school and mental health settings. Our staff team meets weekly to ensure that we are working together and paying attention to the needs of the whole child. All families have a clinical case coordinator who looks after the case. Fully involving parents/carers is key to our success. We work closely with parents/carers to support their children’s holistic development. We view the children’s development as a shared task between us and them. We provide a range of interventions including some individual work with parents/carers and a range of group work opportunities. We have regular parent/carer days offering an opportunity to meet with the staff here, spend time in the classes and work with staff on children’s targets and Personal Handling Plans. We also have other events for families to participate in, such as a summer garden party, a winter celebration and a sports day. Parents and carers also attend regular review meetings about their child’s progress. Involvement from the outside network is sought from the first stages of any referral. The child’s parent/carers and members of the professional network are invited to regular review meetings to make decisions about the child’s future. An annual review of statement of educational need or EHCP is included in these meetings. Comprehensive written reports provide updates on an individual child’s progress. The therapeutic milieu at Gloucester House is created by the team’s capacity to work with children ‘in the moment’. Whilst children have individual and group work, they also have access to the support of specialist clinicians outside of the formal session times. This enriches the therapeutic experience as clinical staff are able to work alongside education staff with the child as difficulties are happening. This enhances our capacity to understand and contain the child with their difficulties both ‘in the moment’ and to support them to reflect on experiences and difficulties and to learn from them in the future. This is particularly useful with children who find direct therapeutic intervention too challenging. We have a careful balance between structures and systems and responding to the children’s needs. We are able to do this as we have an onsite multi-disciplinary team which means that clinical staff can work with education staff to address crises as they arise. We firmly believe that children are able to learn to control their behaviour, and can do this from the way attention is given to what they do and from self- reflection. The primary task of our approach to behaviour is to support the provision of a safe and containing environment for all children and adults who are at Gloucester House. We aim to understand what is communicated by children’s behaviour and help them to understand what their own behaviour is communicating, as well as working with a behaviour policy incorporating a system of rules, rewards and consequences. 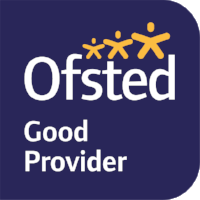 Each child has a PHP (Positive Handling Plan) that is set up during the assessment period and regularly reviewed by staff, children and parents/carers. Understanding behaviour is part of the therapeutic and educational task and working within a framework in which education and clinical staff think together with the children and families about the meaning of behaviour is a key feature of the therapeutic milieu. We believe that for us to be able to support change within children and families we need to see and work with the difficulties within a behavior management framework. We use Team Teach to assist with our behaviour policy. It focuses on using techniques for de-escalation of volatile situations including safe physical management to contain and calm situations. All physical management of children is recorded daily. Restraints are recorded and reported to parents and discussed with the child after the situation. The PHP (Positive Handling Plan) outlines preferred techniques for physical management and de-escalation strategies. These are signed and agreed with parent/carers and the child. Pupil Empowerment – Listening TO the child’s voice. At Gloucester House there is a strong emphasis on promoting independence, resilience and developing children’s skills and strengths for the ‘real world’. Therefore, we encourage the children to hold real, meaningful roles and responsibilities within the school. We do this through our School Council and our Community Meeting. For example a pupil food representative feeds back to the catering team what the children do and (maybe don’t) like about the menu. This entails gathering their peer’s views, agreeing on a consensus and attending meetings to discuss this with the catering team, whilst thinking about budgets practicalities and healthy eating. There is also a pupil co-chair of the weekly Community Meeting who, alongside the staff co- chair helps to hold the time boundaries of the meeting and chair the agenda. The co-chair is a position which children volunteer for and is elected by a whole school vote. The children show a real sense of achievement, pride and self-worth when they are able to manage these roles to the best of their abilities. We encourage children’s input into the curriculum and provide regular opportunities for this. They contribute to the games for the play time rota, and have suggested ideas for events and curriculum topics. Such ideas are thought about carefully by staff and children together, giving the children an experience of thinking about, discussing, planning for and then putting ideas into action. Gloucester House is committed to providing a caring, friendly, respectful and safe learning environment for all children and staff. When bullying does occur we will deal with incidents promptly and effectively. As well as having a policy and procedures in relation to bullying we work hard to create and maintain a positive ethos and atmosphere in all aspects of our work. This helps to promote healthy, caring relationships between people, and develop socially acceptable and rewarding interactions. We also have anti bullying workshops and schemes of work at Gloucester House as part of our PHSCE Curriculum. We have a policy that aims to provide a clear whole school approach to bullying. Residential trips can be an extremely valuable experience for the children at Gloucester House. The children have a group experience of living together alongside the staff. They also have the opportunity to explore the countryside, and to try new, exciting, yet often challenging and often unfamiliar activities. This experience can be anxiety provoking and challenging for the children but it also enriches their therapeutic experience, and is reflected upon fondly by them. The residential experience also gives the team an opportunity to spend time with the children in a different way and to notice their strengths and needs outside of the ordinary school day and within a different setting. The Steering Group oversees the work of Gloucester House and offers support and challenge similar to a governing body in other schools. The chair of the Steering Group is the head of the Children Young Adults and Families (CYAF) department at the Tavistock and Portman NHS Foundation Trust, Sally Hodges.